You will receive an email with a link to download the pattern once the transaction is complete. Includes 2 patterns. There are 2 patterns in this set. One pattern has a larger more open center design than the other. 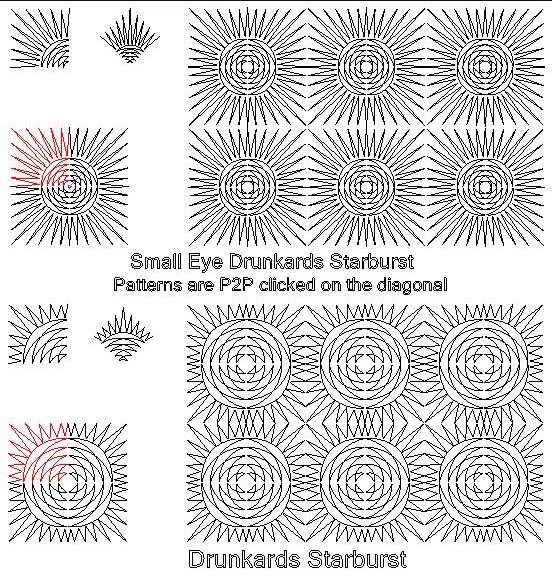 Select the design that best fits your Drunkard's Path You will receive an email with a link to download the pattern once the transaction is complete.